They are images that come in hard. A dog lovingly curled up against the lifeless body of his boss. 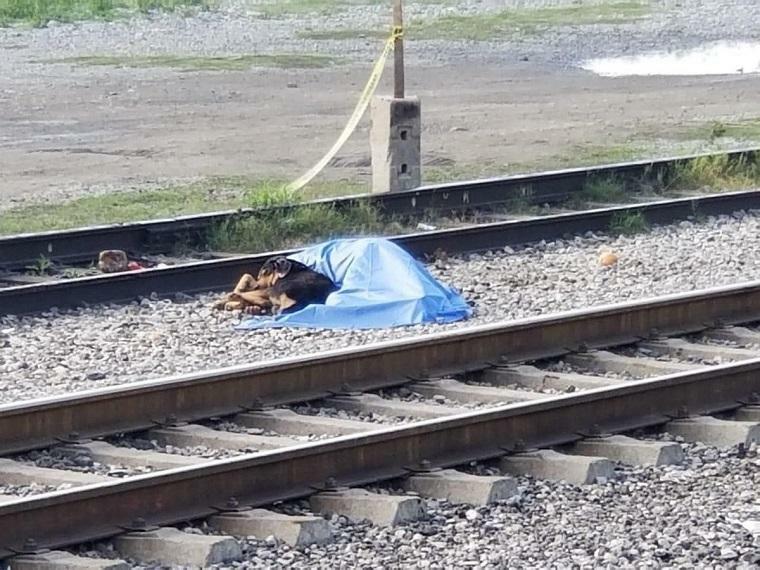 After a tragic accident in Montemorelos in Mexico on Thursday, in which 57-year-old Victor Reyna Vazquez was fatally caught by a train, his four-legged friend refused to leave him. The authorities had the greatest difficulty in getting the dog away from the tracks so that the body of the killed fifties could be removed. The victim would have been drunk that night when things went completely wrong at the track. He somehow struggled on the track and was killed by a train. The rushed emergency services found the dog of Vazquez huddled against his body. 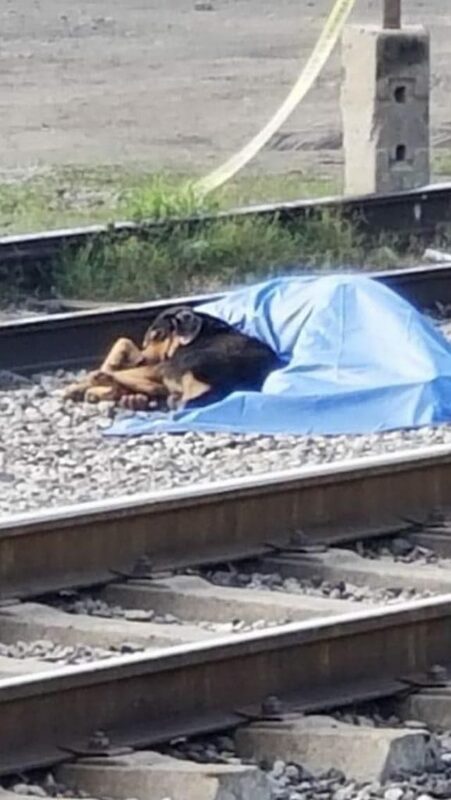 Even after they had laid a sheet over the man’s remains, the dog immediately lay close to his boss again. Eventually, the animal had to be pulled off the track with the necessary effort and strength. Reports show that the dog even bit the police and ambulance officers present when they took him away from his owner. According to locals, the man was a heavy alcoholic. His dog was his best friend for many years. Un hombre murió arrollado por el tren en #Montemorelos , su cuerpo quedó sin vida en el Barrio la estación, su cachorro quedó hasta el último momento junto a él.